Found in the heart of Downtown Scottsdale, FireSky has location on its side, as it is within walking distance to shopping and restaurants. On site, you’ll find incredible dining, an intimate spa, comfy accommodations and incredible pools. 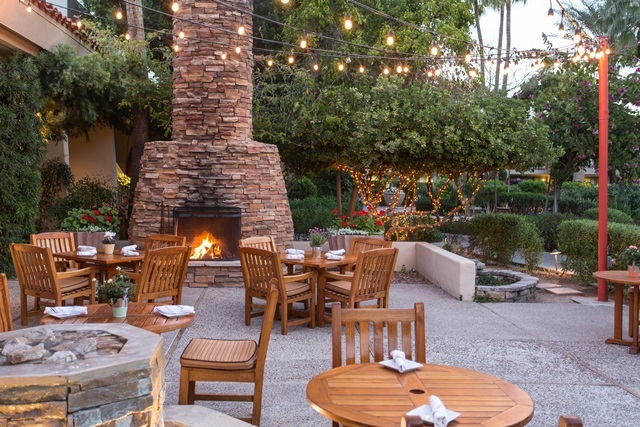 Before settling in poolside, start your afternoon with a lunch at Taggia (pictured below). For something on the light side, the Italian grilled cheese features fontina, mozzarella, fig jam and arugula between two slights of soft focaccia. For something a little heavier to take you through to dinner, the orecchiette dish features grilled chicken, sun-dried tomato, green beans and basil pesto. Now, onto the pool. The main pool features plenty of comfy seating and gorgeous water features (and fire features, come nighttime) that make for a glorious day of lounging and wading. The sandy beach pool is a favorite of FireSky’s youngest guests as if features a shallow beach-entry that allows for plenty of playing under the sun. (Be sure to bring pails and shovels!) The beach area has plenty of seating for Mom and Dad from which to watch the kiddos. After a day at the pool, there is no better way to wind down than with a glass of wine in hand. Visit the lobby at 5 p.m. for a complimentary glass or red or white before heading out for your dinner plans. Few things can get more relaxing that an afternoon by the pool–but a trip to the Jurlique Spa might have it beat. Make a reservation for the Traveler’s Rehab. Though you may not have to travel far and wide for a staycation at FireSky, but you can sure still reap the benefits of the 90-minute treatment. Enjoy a bath filled with a goodness-packed soak to wash away aches and stress (in a gorgeous copper tub, no less) before enjoying a 60-minute custom massage. Slip on a sleep mask, and cap off your treatment with a 15-minute slumber ensure an reinvigorating end to your treatment–and to your blissful FireSky staycation. Looking to book your own FireSky staycation? 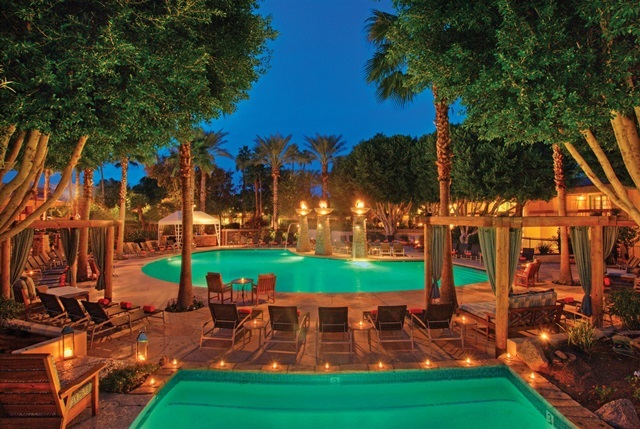 Enjoy an exclusive 25 percent discount on best available rates at the resort this summer via this link, available only to AZFoothills.com readers.